Our 06 model is constructed of wood and is available in either a natural dark wood finish or white. 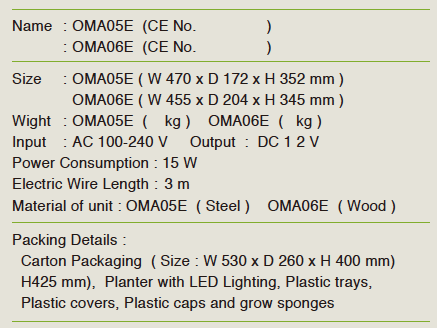 Like the OMA05 the growing tray in the base is rectangular and of a generous width which allows for an even light distribution and a healthy crop yield. 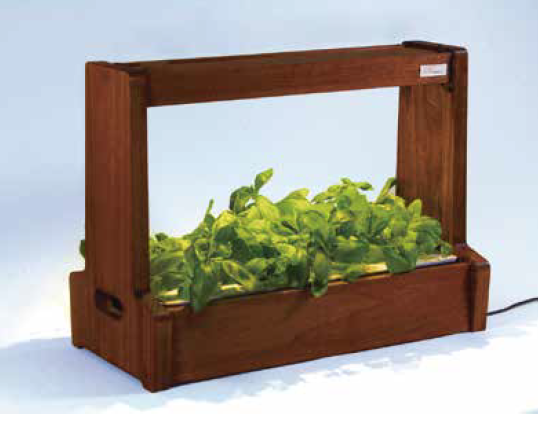 Akarina 06 has a wide rectangular growing tray that can be easily removed for seeding and / or cleaning after a growing cycle. 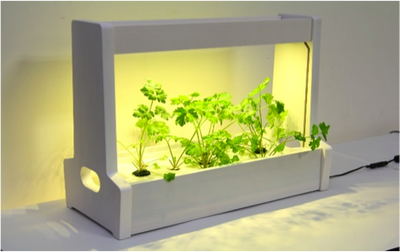 The four step pictures below show this growing tray separated from the housing and grow-light unit to give a clear view of the stages. Further details are available in the 'How to Grow' section. Note: The natural wood finish of the 06 works beautifully alongside flowering plants or illuminated green leaves. 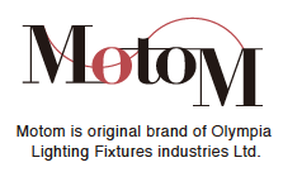 AKARINA and MotoM are original brands of Olympia Lighting Fixtures Industries Ltd. 2-9-8 Hon-komagome, Bunkyo City, Tokyo, 113-0021 Japan.